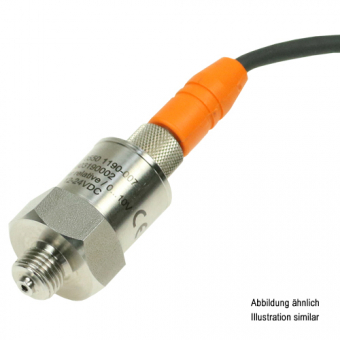 The pressure sensors with M12-connection are ideally suited for measuring of static and dynamic relative pressure in liquids and gases. Delivery will be effected within 24 working days with receipt of payment. The pressure transducers transfer the measuring value as a calibrated and temperature compensated standard signal 0…10 V or 4…20 mA.